Seasonal movement: Throughout the year, due to the fluctuations in temperature, amount of rainfall or lack thereof, and the expansive soil our homes, and structures are built on in this region of the country; every structure experiences a measure of seasonal movement. 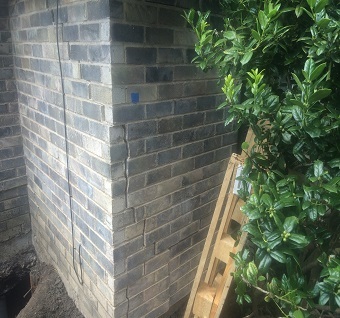 With proper maintenance of a foundation, it is possible to minimize the seasonal movement of a structure, and the resulting damage that may occur to a foundation, and/or its structure as a result of seasonal movement. 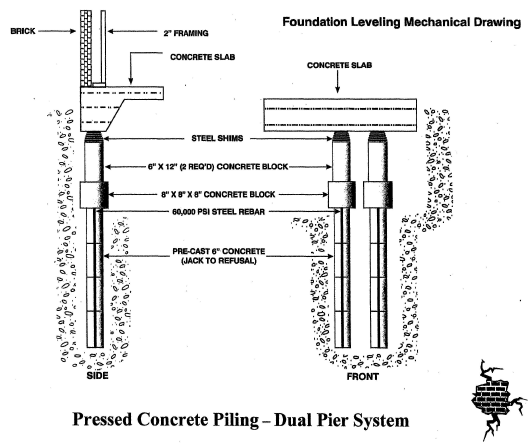 Why piers may need to be installed: Piers may need to be installed to prevent or minimize seasonal movement in a problem area, and/or in order to stabilize the foundation in that area, and to prevent or minimize any damage that may occur to a foundation, and/or its structure as a result of seasonal movement. 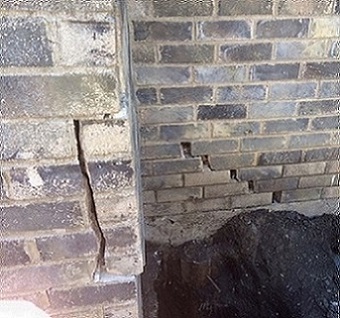 There are ocassions when proper maintenance of a structures foundation is not enough to prevent direct damage to a foundation or too little or no maintenance results in damage to a structures foundation. 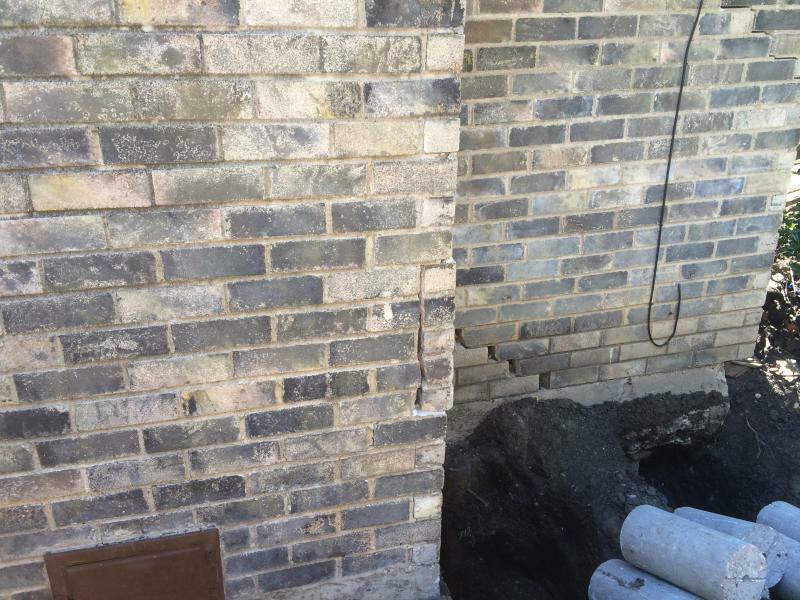 Then piers are recommended in the problem area/s in order to recover a downward deflection, to stabilize the foundation in the area/s where the piers are installed, and to prevent or minimize additional damage to a foundation and/or its structure. 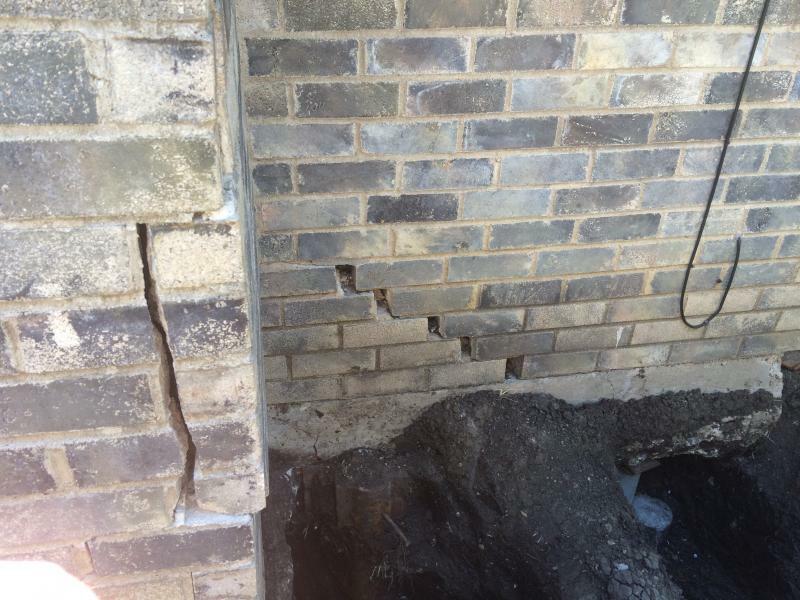 The reasons you don't want to ignore foundation damage: Foundation damage that is not corrected often results in additional damage to the foundation, its structure, including plumbing and sewage lines. Foundation damage may also stretch electrical wires, loosen electrical connections, which is a fire hazard. An example of a neglected foundation that has caused additional damage to the structure. Click on lower right corner of pictures to enlarge.